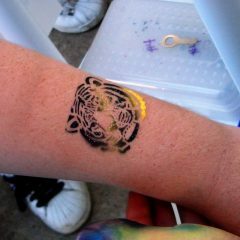 Airbrush Tattoos — A Fun and washable Experience! 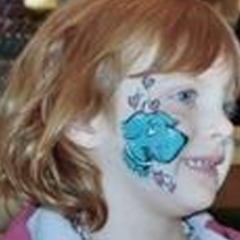 Airbrush Face Painters will provide several washable paint colors and offer a variety of designs to suite your guest’s interests. 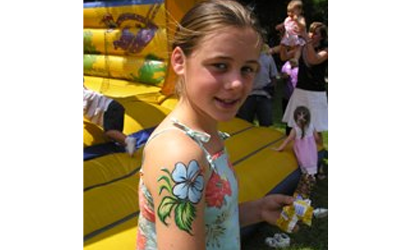 Airbrush face tattoos are an excellent choice for affordable event entertainment. Paint is gently sprayed through the stencil producing colorful designs. 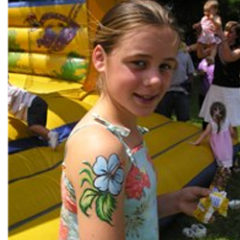 The guests may choose from designs such as butterflies, flames, suns, footballs dolphins, flowers, skulls and more. 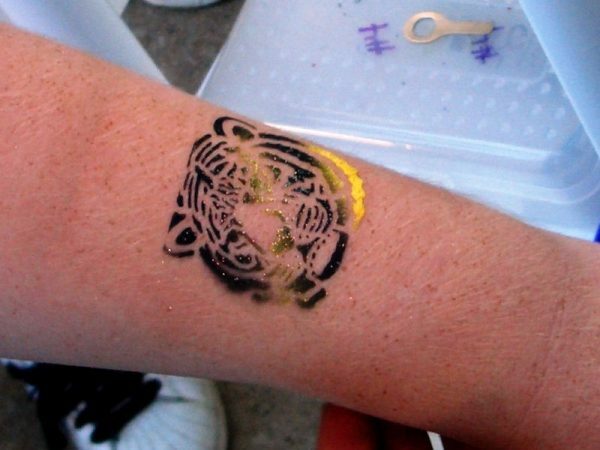 The designs can be applied to their ankles, arms, hands or faces. 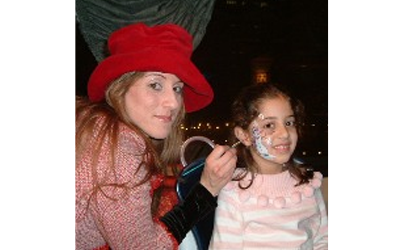 The results can be finished off with a dash of glitter, producing a sparkling result. Techs complete up to 40 applications hourly. 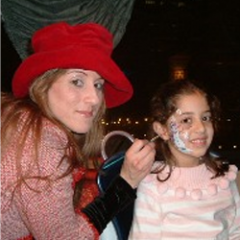 Celebration Authority’s Air Brush Face Painters are a professional artistic rental perfect for Picnics, Festivals, Outdoor events, Indoor Events, Family Reunions, Birthday Parties, Carnivals, Block Parties, Corporate Events, School Events and much more! 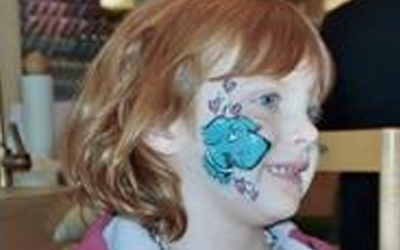 Age Group: It is recommended for all ages.